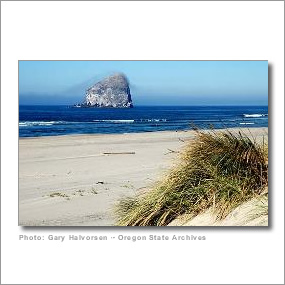 Less than 90 minutes of easy driving will transport you from Portland, Salem and Interstate 5 to another world Here you'll find pristine beaches, Cape Kiwanda and the famous Haystack Rock. You'll enjoy memorable sunsets, wild Pacific storms, whale watching and beachcombing. The The Pacific City Inn offers 18 rooms, a full bar and fine dining in the Delicate Palate Bistro.